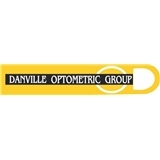 Danville Optometric Group (Danville) - Book Appointment Online! Danville Optometric Group is a family practice and our doctors are trained in pediatrics, taking special care with a child’s unique vision care needs. It is important for children to have their vision evaluated as early as possible, so the doctor can catch and treat problems such as focusing difficulties, eye coordination problems like convergence insufficiency which is the leading cause of problems with reading development, and other visually related learning difficulties. Dr. Visendi and his associates have treated children in these areas for many years with much success. My first visit here and I found Dr Visendi to have a great wealth of information and also to be a wonderful conversationalist. Dr Visendi quickly nailed my vision challenges. The front of house staff are also excellent, no pushy sales and very professional.